In 1996 Alan Donovan, along with Bob Slater and Keith Hardisty, formed Colleges United. In 1998 Colleges United was awarded the inaugural 'Fair Play Shield' for the least number of red and yellow cards by the BSDJSA from 32 participating clubs. In 1999, Colleges United were again the proud recipients of 'Fair Play Shield' for the least number of red and yellow cards by the BSDJSA. In the 2000 season, the Colleges United Under 11 Division 3 team were Premiers, Grand Final Champions and Brisbane Association Champions! Both the Grand Final and the District Championship were firsts for the Club in its short history. In 2001 as Under 12's, the Premiership winning Under 11 team in 2000, were once again Premiers, and narrowly missed out winning the Grand Final. Colleges United was awarded the BSDJSA Champion Club Award due to the success of our Under 12 Premiers and Under 11 Grand Finalists in 2001. All four teams made it to the finals, with the Under 11 Div 7 team narrowly defeated in the semi finals, and all other teams making it through to the Grand Finals. The Under 12 Div 2 team was declared joint winners in their final. In 2004 Colleges United became affiliated with Brisbane Womens Soccer (BWS) and ran our first womens team in the senior competition. In 2005 the Colleges United womens team founded in 2004 won the Premiership and the Grand Final under the guidance of Keith 'the Koach' Hardisty. The end of 2005 saw the club celebrate it's tenth year anniversay with a dinner of old and new members. The night proved to be a very memorable night despite the fact we missed Keith Hardisty's rendition of Danish folk dancing, where we celebrated the achievements of what is still a relatively new club with a great future. In 2005, our Club won the 'Fair Play Shield' for the least number of red and yellow cards by the BSDJSA for an unprecedented third time. In 2006 the club appointed David Burgener as the new Director of Coaching. In 2007 David Burgener stepped down from his role as Colleges United's Director of Coaching. The 2007 season also saw the formation of Colleges United's first open mens team consisting of many players who originated from the club as juniors in the 90's. In 2007 the men's team played in the Commercial League. In 2007 the number of registered players grew to 270. 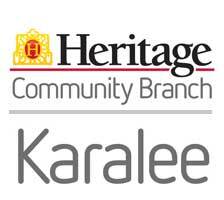 The club successfully negotiated a 3 year jersey sponsorship deal with two local businesses, Health Matters Karalee and United Financial Services. This sponsorship has significantly contributed to the cost of new playing jeresys this year for many of the junior teams and all four senior teams. This year will also see a major upgrade to the club's flood lights made possible by a grant of almost $55,000 from the Department of Sport and Recreation. Colleges United will invest an additional $35,000 to fund the project. In February 2009, Barry Guyett was appointed as the club's new Director of Coaching (DoC). The new Small Sided Football (SSF) format introduced for Under 6,7 & 8 player's in 2008 was extended to include Under 9 players this year. The senior Women expanded to two full teams in 2009 and a move across to the Queensland Christian Soccer Association (QCSA) league. After a very successful inugural season in 2008 the men's Over 35 team have been promoted this year to Division 1 in the QCSA league and also stepped up an age group to take on the Over 30's. The year 2010 saw the extension of Small Sided Football (SSF) to the under 10 age group. We had 4 x u6, 6 x u7, 3 x u8, 4 x u9 and 1 x u10 teams playing SSF. Divisional teams were u11 Div 1 and 4, u12 Div 7 and Wst, u14 Div 2 and 5, u15 Div 4 and u17 Div 1 Church League. We also had 2 x womens teams and 1 o/30's mens team with the Church League and one men's team in the Commercial League Friday div 2. During the season we held one carnival on 18 July for the u6 & 7 age groups. We also had the services of Barry Guyet as our DoC. Committee members were; Adrian Wellington (Pres), Clayton Mortell (VP), Jenine Mortell (Sec), Eddie Cassidy (Treas) and John Tank and David Berlin as committee members. The season ended with a trophy presentation day on 29 August but there were still 4 junior teams in the finals to be played on 4 September; u11d1, u11d4, 12west and u14d5. The under 11 div 1 and under 12 West teams played their grand finals on 11 September at QLD Lions main field in front of a packed crowd. Both teams gave their all and went down fighting to the end making all parents and supporters proud. This year also saw the completion of bitumen surfacing being applied the length of the access road and the fields being aerated. The club also took possession of a tractor slasher courtesy of a grant from the Gambling Community Benefit Fund and updated most equipment for the betterment of players. Colleges United are looking for help to fill some of the gaps in the clubs history. In 2002, Alan Donovan was nominated as a Life Member of Colleges United Soccer Club for his services to the club. Along with Bob Slater and Keith Hardisty, Alan formed the club back in 1996 and was largely repsonsible for it's success and continued growth. Alan served as President of Colleges United until 2001. 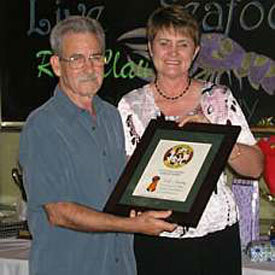 In 2003, Keith Hardisty was nominated as a Life Member of Colleges United Soccer Club for his services to the club. 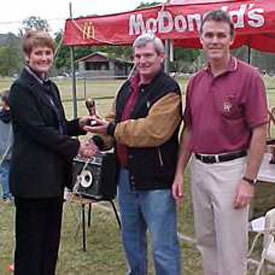 Keith served as Director of Coaching from the clubs inception until his retirement at the end of the 2005 season. 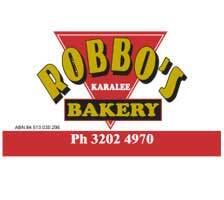 In Keith's final season as Director of Coaching he coached the senior womens team to a grand final victory. Keith has retired to the Gold Coast, but still can't resist returning for special guest appearances.